John Riepenhoff founded the Green Gallery in Milwaukee in 2004, when he was twenty-two; his cousin Jake Palmert joined him in 2009. 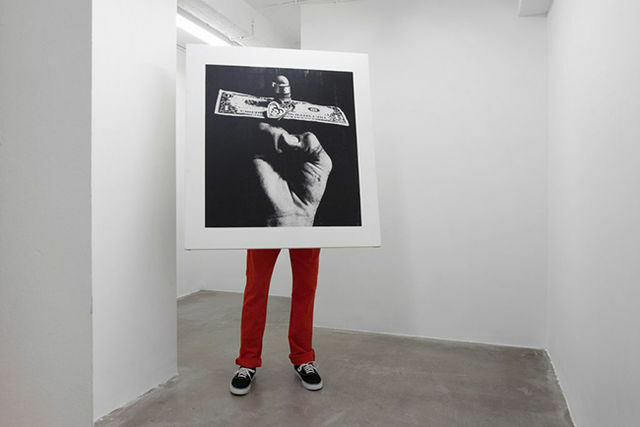 Over the past several years, Riepenhoff has merged his roles as artist and gallerist. His recent exhibitions and curatorial projects have been presented at the 2017 Whitney Biennial; Marlborough Chelsea, and Swiss Institute, New York, NY; Tate Modern, London; Crystal Bridges, Bentonville, AR; 356 Mission Rd, Los Angeles, CA; Poor Farm, WI; Lynden Sculpture Garden, Inova, and The Suburban, Milwaukee, WI; Minneapolis Institute of Art, MN; and Atlanta Contemporary Art Center, GA. He also continues a program of the John Riepenhoff Experience at various locations around the world, most recently at Night Gallery, Los Angeles, CA and Misako and Rosen, Tokyo. He was the 2015 Milwaukee ArtsBoard Artist of the Year, co-chairs Friends of Blue Dress Park, founded Milwaukee’s 1rst Beer Endowment for artist-run organizations, runs The Oven at The Open in Milwaukee, and sits on the board of Riverwest Radio.